Victoria, Mahe (Seychelles) – February 12, 2018 (travelindex.com) – The Indian Ocean Region is dominating the news these days and Seychelles is right in the middle of it all with the proposal to facilitate the creation of a military base by India on its Assumption Island. This beautiful island is right on the door step of Aldabra, the UNESCO World Heritage site. Protests and petitions #SaveAldabra have been launched, and it is very much the duty of every Seychellois to join the International Community and World Environment Groups to nip this proposal in the bud. A symbolic peaceful protest is set to be carried out everyday by the Clock Tower in the centre of Victoria to urge Government to listen to its people and to preserve our invaluable natural resource. These protests are said to be continuing until the State of the Nation Address by President Danny Faure. If the Assumption Island Military Base is for Seychelles we do not need any agreement or lease document with India. We only need a proposal from India for what will be termed ‘foreign aid’ package. Mauritius is also raising the tempo for their island of Agalega, where plans are in place to construct a three kilometre airport for the 300 inhabitants of the Island, or for another rumoured military base. Similar to Seychellois at the moment, Mauritians are up in arms over the prospect of losing another one of their precious islands. Do we, the People of Seychelles, deserve a say in what happens to our islands? Of course we do. A referendum is needed today. The State of Emergency is Maldives is also making news. Political instability and tourism do not go hand in hand, but the Maldives Ministry of Tourism issued a statement, which highlights that all tourism related businesses will be operating as usual. It also states that the State of Emergency does not force any restrictions on traveling to the Maldives and airports and all resorts in the country shall remain open and in full operation. More from Maldives, the Chief Justice and another Judge therefrom were arrested mere hours after the Government declared a State of Emergency, prompting many a raised eyebrow. The Judiciary is a needed watchdog and political interference will always shock the free world and the fragile tourism industry. Tourism remains a volatile industry, and both Seychelles and Maldives are in the news for the wrong reasons; both Islands can be negatively impacted by all the negative publicity they are accruing. Africa remains undecided about the Single Air Transport Market initiative. There is little to no tourism without adequate air-access and Africa is a Continent that suffers from this shortfall. 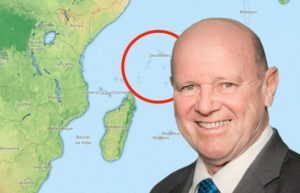 Seychelles was so far not listed as a country that had embraced this call for Africa by Africa, even though it showed last year in the UNWTO saga that it abides to decisions by the African Union, regardless of whether its sovereignty is consequently threatened. The Tourism Industry of Seychelles continues to seek clarity in the increased operating costs it is facing. Today, more than ever before, the hoteliers are imploring the authorities to appreciate that they are competing not with the hotel next door, but with the different regions that continue to attract holiday makers in search of a tropical vacation. Operating costs remain a key determining factor in what can be offered and also how destinations are featured in Tour Operator programs, which is where some are seen to be pricing themselves out of the market. The call today is for a two-tier VAT where a lower fee is applicable for the room component of the package.